I admit, I was skeptical when I first heard about them making a LEGO movie - a quick cash-grab, I said - stupid and utterly ridiculous but how wrong I was. This movie is tons of fun - the characters are as vibrant as the settings - and the voice talent, especially Morgan Freeman, Liam Neeson and Will Arnett are spot-on. Everything is Awesome will be stuck in your head for days - and the overall message is positive and told in a fantastic way. In short - easily the best animated movie of 2014 (though it doesn't have much competition) and one of the better surprises I've come across lately. This was one of those increasingly rare kid movies that adults will enjoy too. There's enough humor and fun to be had by children of all ages (even those who are children at heart). It also has a great lesson at the end. This is a fun movie with a good sense of humor, but it is definitely not a "great" movie by any sense of the word. 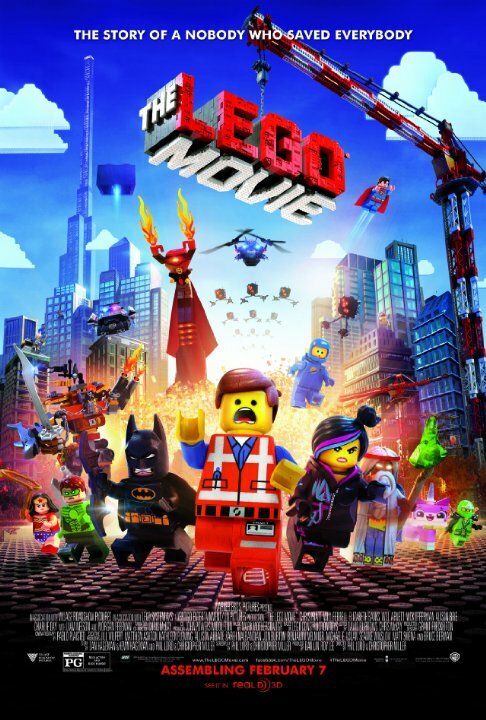 The Lego Movie is probably the biggest surprise of 2014. I was like so many other people who thought this was going to be a dull dumb commercialized cash-in on a beloved cultural icon. As it turns out, we were all half-right. It most certainly IS a commercialized cash-in but this in no shape or form prevents it from being a bright, zippy, and sometimes clever film. The animation is simply breathtaking in how much it closely resembles actual Lego pieces. Now that we've established that it's not a bad film by any means, the next question is whether it's the next Toy Story as some are touting? I myself would not go that far despite still having two 4' x 4' boxes chock full of my childhood Lego collection tucked away in my closet. Well, it seems like everyone has already seen The Lego Movie. So this review is probably just one of many. I saw the movie over the weekend, and I thought it was pretty good. It had a nice message, and it had a lot if humor that the parents can enjoy, too. One thing I liked: Everything was made from Legos. Now I know what you're thinking, �Well, duh.� But, would expect fire, water, and even smoke to be made completely out of Legos? I didn't, so I was pleasantly surprised. Also, the Legos did not �look� animated. They appeared to be actual Legos. They did not move in ways impossible for Legos, they just went to their Lego capabilities. No posts have been made on this movie yet. Be the first to start talking about The Lego Movie!